Passport Rules: What Should You Check About Your Passport Before You Go? For travellers, a passport is the single most important document they own -- it's the one travel item that still must be carried in paper form, not to mention a physical souvenir noting destinations past and potentially future (in the case of visas). But that doesn't mean it's always the thing that gets taken care of the best. Accidental laundering, water spillage, and tearing can all put a literal halt in your travel plans if it means you won't be able to get over the border with it. The problem? A damaged passport, which includes one in which a page is ripped, requires ordering a new document -- and that not only means contending with the bureaucracy of filing for a replacement passport, but also a cost of $87 to $102 (not to mention the extra charge if it needs to be rushed). If you've gotten married or changed your name for other reasons and it says so on other official documents, like driver's licenses, it's recommended to order a new passport in your new name -- otherwise you might encounter problems at the border. If there's an error printed on your passport -- either due to your mistake or the government's -- don't just try to book tickets under your misspelled name. Get that mistake fixed, or it can come back to haunt you in a foreign country, far from any embassy, if they ask for further identification. If you're a frequent traveller, you know the panic of running out of space in your passport because its expiration date -- but whatever you do, don't add in pages yourself, as they'll be seen as invalid. 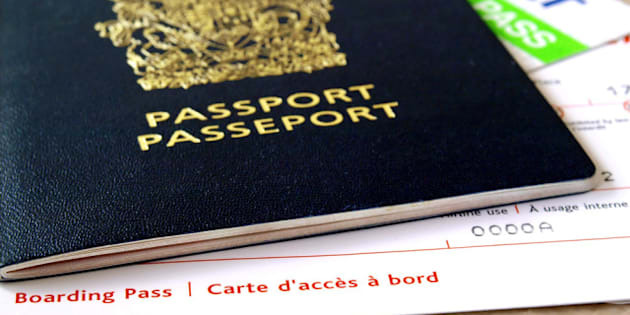 Passports with more pages can be ordered when you get your passport (for an additional cost). Although one news story earlier this one told of a man who used a scanned version of his passport on his iPad to enter the United States, that practice generally won't work at most borders. Always have the physical document with you. Putting anything on your passport as a covering material is not legal in most countries (note: the stickers depicted here are usually placed there by airline employees, and just fine). This one's a bit more detailed, but there's long been rumours about stamps from certain countries making it impossible to cross borders into other ones -- Israel is one country that often crops up in these discussions. A thread on Lonely Planet's Thorn Tree forum discusses this in detail, but one option is asking Israel border guards - who are familiar with the issue -- not to stamp your passport in the first place. Most people know not to travel with an expired passport, but some countries are even stricter in their regulations, requiring that a passport be valid for up to six months once you're entered their territory. Be sure to check specifics for any location -- a good list of countries that enforce the rule is found here. Even if some countries have different regulations about their passport pictures (for example, some nations still allow for smiles in the shots), it's a good idea to adhere to international regulations for photos. A full list of requirements for Canadian passport photos can be found here. Watch out for that pool! Water damage, even a small amount, can render a passport invalid, and because it's difficult to predict how stringent particular border guards will be, it's a good idea to replace it even if it's only a few drops. Pages that are ripped are considered to be damaged when it comes to passports. This is particular the case on the photo page, where airline staff might suspect falsified photos or details.